Francesco Molinari is an Italian professional golfer. He has won his first and only major victory, 2018 Open Championship. He is also the only Italian professional golfer to win the major championship. He turned professional in 2004. He has been in the top 100 of the World Rankings continuously since the end of 2008. He and his brother together has won the 2009 Omega Mission Hills World Cup. He has represented Europe in three winning Ryder Cup teams, in 2010, 2012, and 2018. He has recorded a total of 10 professional wins in his career till date. The Italian Francesco Molinari departs from World Golf Championships from the semi-final. Despite the outstanding performance on the previous match days where he won all five of his matches to reach the semi-final, he was stunned by the American Kevin Kisner. Molinari who Made Ryder Cup history by winning all five of his matches at Le Golf National last year will now face Lucas Bjerregaard for the third place. Kisner will face 2013 champion Matt Kuchar in the all-American final. Only Italian professional golfer to win a major championship, 2018 Open Championship. First Italian to receive BBC World Sport Star of the Year award. Francesco Molinari was born on 8 November 1982. He was born to a father, Paolo Molinari, and a mother, Micaela Molinari. His birthplace is in Turin in Italy. He holds Italian nationality. He has one older brother named Edoardo Molinari. More information regarding his early life is not available at present. He has won the Italian Amateur Stroke Play Championship twice and the Italian Match Play Championship in 2004. He turned professional in 2004. He earned his European Tour card in 2005 through qualifying school. He finished in 86th place on the tour's Order of Merit in his rookie season. He claimed his first European Tour victory in May 2006. He became the first Italian since Massimo Manneli in 1980 to win the Telecom Italia Open. He finished 38th on the Order of Merit. He recorded 20 top-10 finishes between 2007 and 2009 without winning. He reached the top 50 of the Official World Golf Ranking for the first time in October 2009. He and his brother, Edoardo led Italy to their first World Cup victory at the Omega Mission Hills World Cup in China in November 2009. He won the WGC-HSBC Champions in Shanghai, China In November 2010. He moved to 14th place in the Official World Golf Ranking. He represented Europe in the 2010 Ryder Cup in October 2010. He lost against Tiger Woods on the final day. Europe defeated the United State 14 and half points to 13 and a half. He recorded 7 top-10 finished in 2011. He picked up his third European Tour win in May 2012 at the Reale Seguros Open de Espana. He gained an automatic selection for the 2012 Ryder Cup. Europe once again defeated the United States 14 and a half points to 13 and a half points. He didn't register any wins during the 2013 and 2014 season. But he remained in the top fifty of the Official World Golf Ranking allowing him to play several PGA Tour events. He finished in the 6th place at the 2014 Players Championship. He shared his time between the European Tour and PGA Tour in 2015 and 2016. In September 2016, he became the first Italian to win his national open twice defeating Danny Willett at the 2016 Italian Open. He finished 2nd at the 2015 Open de Espana and 2016 Open de France. He finished 3rd at the 2015 Memorial Tournament. He recorded a hole in one at the iconic 16th hole of the Waste Management Phoenix Open. 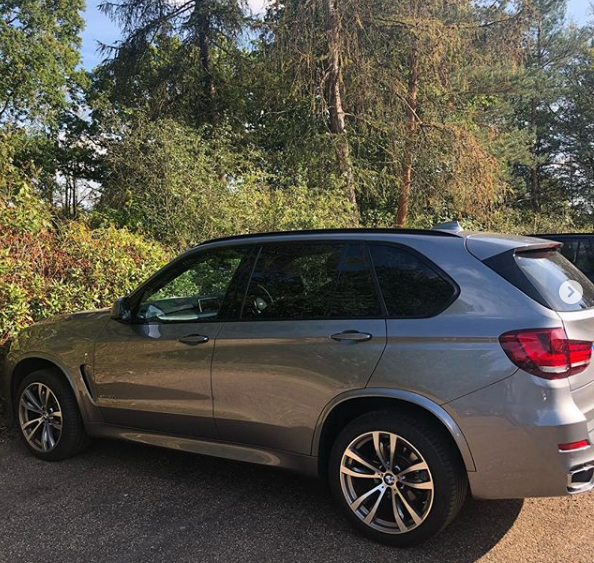 He recorded his fifth European Tour win in 2018 with victory in the European Tour's flagship event, the BMW PGA Championship. He leveled with Costantino Rocca for most European Tour wins by an Italian. He also recorded his first Rolex Series titles in May 2018. He also won the Quicken Loans national in 2018. He won by 8 strokes. It was the first PGA Tour win for an Italian since 1947. He won the 2018 Open Championship with a score of -8, pairing with Tiger Woods in the final round. With the win, he moved to sixth place in the Official World Golf Ranking. It's his highest ranking to date. He qualified for the European team participating in the 2018 Ryder Cup. Europe defeated US 17 and a half to 10 and a half. He became the first player ever to go 5-0-0. He also won his singles match against Phil Mickelson. He won the season-long Race to Dubai title worth $1,250,000 on the European Tour in December 2018. He received the 2018 BBC World Sport Star of the Year award in December 2018. He was the first Italian to receive the award. 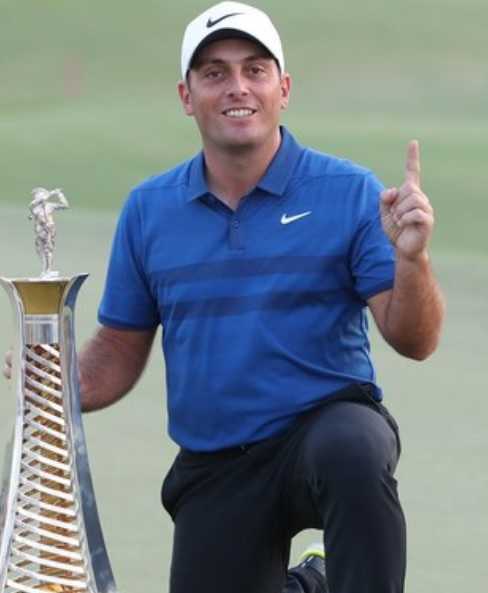 He won the Arnold Palmer Invitational as the third PGA Tour victory of his career in March 2019.
Who is Francesco Molinari Married to? 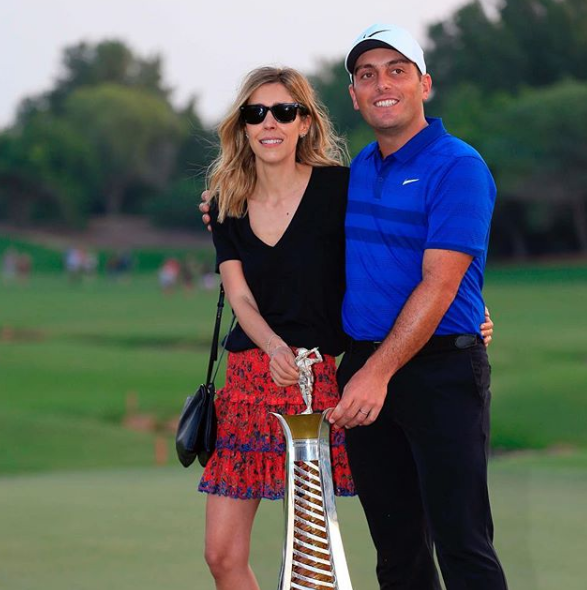 Francesco Molinari is a married man. He is married to Valentina. The couple tied a knot to each other in 2007. The couple has 2 children together. They are Tommasso and Emma. He lives in Turin in Italy. He also has a residence in London, England. What are Francesco Molinari's Body Measurements? Francesco Molinari stands at a height of 1.72 m i.e. 5 feet and 8 inches tall. He has a body weight of 159 lbs i.e. 72 kg. He has an average body build. 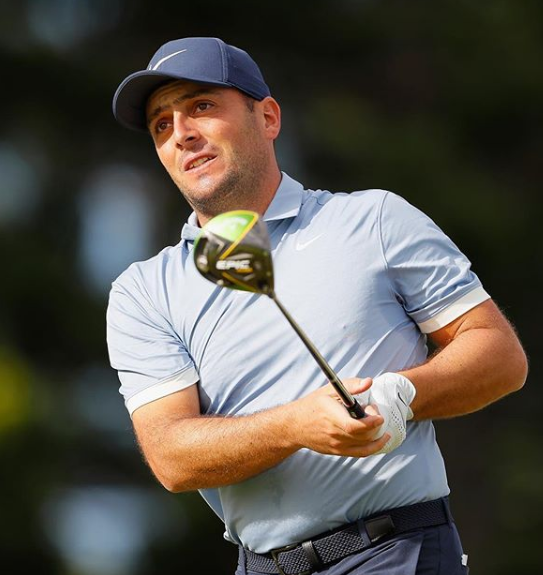 What is Francesco Molinari's Net Worth? Francesco Molinari earns playing professional golf. 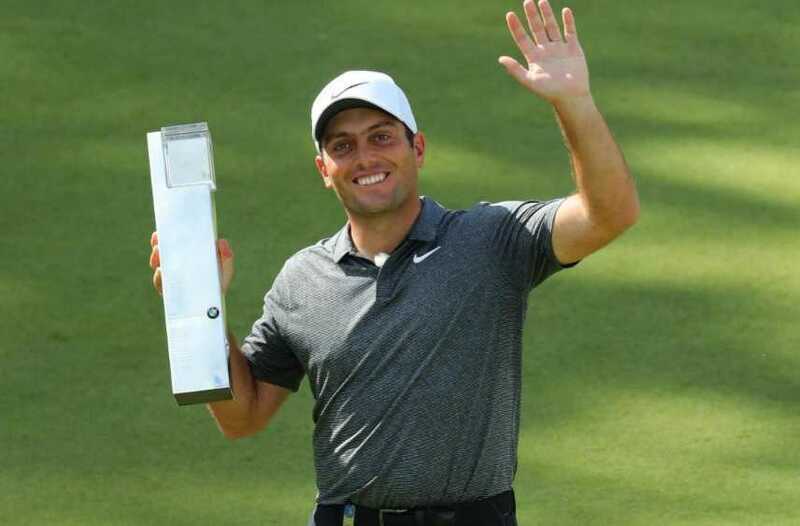 The 2018 BBC World Sport Star of the Year award winner, Molinari has recorded 10 professional tours including 3 PGA Tour. Playing golf and winning major titles adds a fortune to his income. As of 2019, his net worth is estimated at $20 million. He is a fan of Inter Milan and West Ham United.